The trip started early, as the yawning cadets assembled at 0430 at the airport. Our tiredness added to our sense of awe and unreality when we landed in Gibraltar in the shadow of the Rock which, even after we’d been up it, always seemed like it had been Photoshop-ed in. We piled on to a bus and settled down for the journey to our accommodation. Two minutes later we arrived, and that about sums up transport on the Rock – well it is only 2.6 square miles in size! 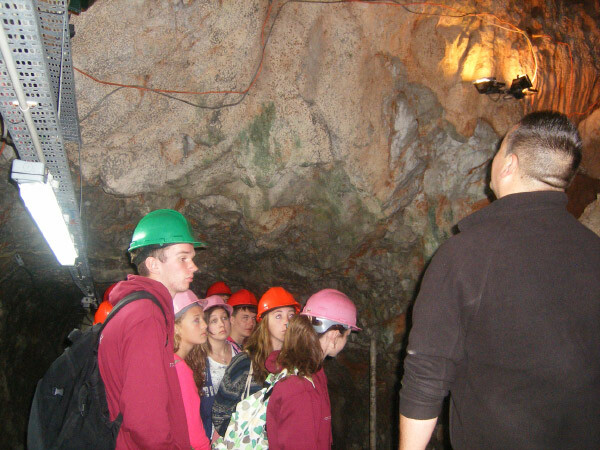 That afternoon we took a guided tour of the Rock, visiting St Michael’s Cave and Ape’s Rock. It was thrilling to see the apes, and even more so when they started to use us as climbing frames! A few days later we were to take in more of the local wildlife, setting out into the Bay of Gibraltar on a dolphin safari. The next day we began our adventurous training at Gun Wharf. 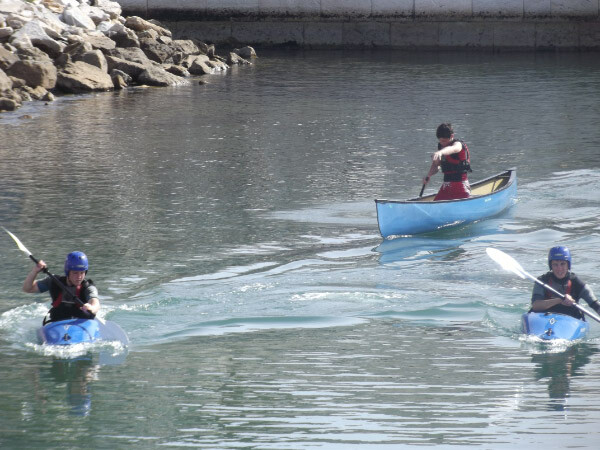 We spent 3 days kayaking, canoeing, water-skiing and sailing, with varying levels of success! It was easy to see who had done the activities before, and those who were less at home on the water. While most of us floundered about on water-skis, a few impressed with jumps and spins. 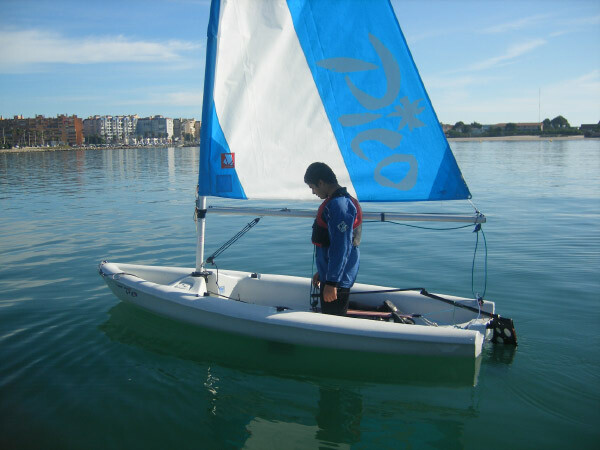 The Navy girls showed their proficiency at sailing while a member of the Army section got to grips on more than one occasion with the Boom. Once they’d mastered the basics, the kayakers and canoeists declared war on each other in a valiant game of water polo, with few remaining dry by the end of the day. 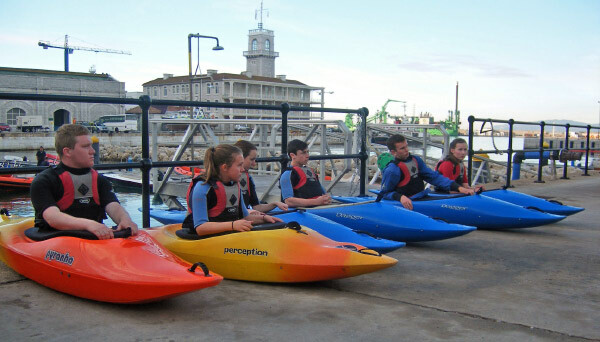 Everyone experienced at least two new activities during the week, and all came away with a great sense of achievement. 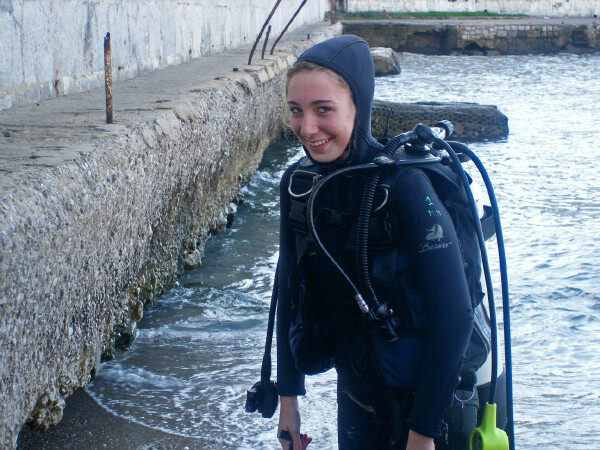 We spent Trafalgar Day (21st Oct) scuba diving in Rosia Bay, where Lord Nelson’s body was brought ashore after the battle. The unpleasantness of donning a soggy wetsuit was forgotten the instant the underwater world came into focus, with its plethora of fish, octopus, cuttlefish, starfish and anemones. 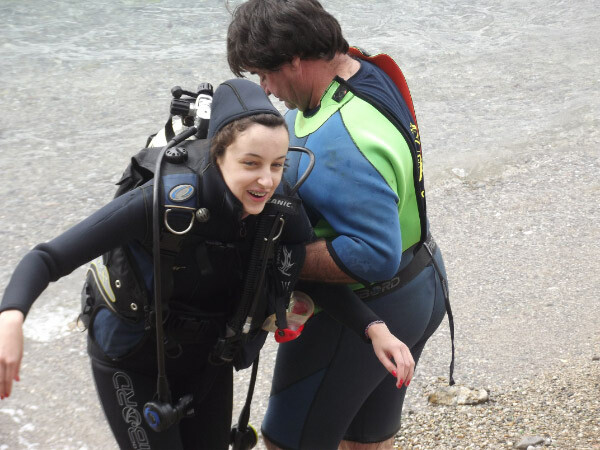 The dive masters were fantastic, really friendly and reassuring when some of us were struggling with the equipment or under-water breathing. For most it was a completely new experience, and everyone agrees it was the highlight of the week. It was poignant to be in Rosia Bay on Trafalgar Day, to be doing such a modern activity in a place so full of history. 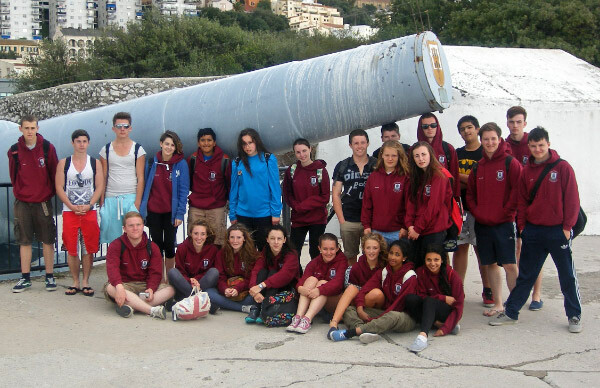 We continued our exploration of Gibraltar’s history with a visit to the 100 Ton Gun, the Great Siege Tunnels and the WW2 tunnels. We gained a great understanding of how strategically significant Gibraltar has been and continues to be, and of the tremendous effort that has gone in to keep the Union Flag flying there for the last 300 years. Unfortunately the weather closed in on our last day, so the climbing we were hoping to do was cancelled. However, the low cloud provided incredible eeriness that night, when the Rock echoed with the sound of gunfire from a subterranean training exercise – a poignant reminder of Gibraltar’s continuing military importance. Gibraltar is a melting pot, where different cultures and eras come together. From Europa Point there is an incredible view of 3 countries and 2 continents. Moroccan stallholders sell trinkets for Sterling and give you change in Euros; Gibraltarians speak Spanish in English telephone boxes; within the walls of ancient fortifications, children bowl and play arcade games. As such, it is a fantastic place to bring a group of cadets, an organisation that blends tradition with potential. We finished the week with a delicious meal at the Marina and from the seats the cadets chose, it was clear to see that we had achieved our third aim. 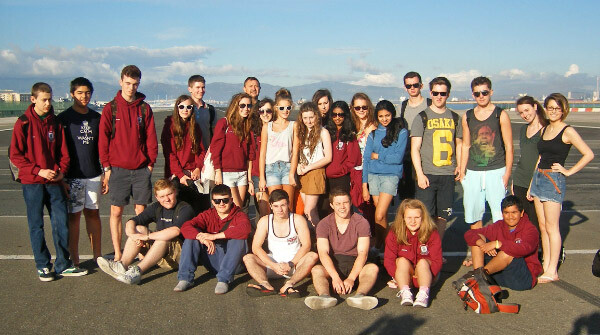 After a week of sun, fun, history and water sports, new friendships had been formed and old inter-section rivalries forgotten. We had overcome challenges together – from trepidation at breathing under water to room inspections – and lived to tell the tale!